Welcome to the ad shop. A campaign booking and management tool that makes ad reps more efficient and publishers more profitable. Google and Facebook have made local advertisers accustomed to online campaign booking accompanied with detailed ad performance reports. The Ad Shop provides just that for organizations of all sizes. Use the Ad Shop as a tool during your sales calls. Easily build a campaign while you’re with the client that includes a mix of print, online, social, out-of-home, and other custom products. Gone are the days of waiting for payment. Use the Ad Shop for end-to-end campaign creation and collection. Save time and energy with automatic invoicing and credit card collections. The new media kit allows you to sell any product for whatever pricing strategy that meets your expectations. Sell print, digital, social, OOH, radio, newsletters, creative services, and more! An online platform that makes it simple for local businesses to access advertising opportunities on campuses. Use the Ad Shop to increase sales rep productivity and inform local buyers to make informed purchases. Ultimately, the Ad Shop enhances the local buying experience with an intuitive shopping cart system, available 24/7. 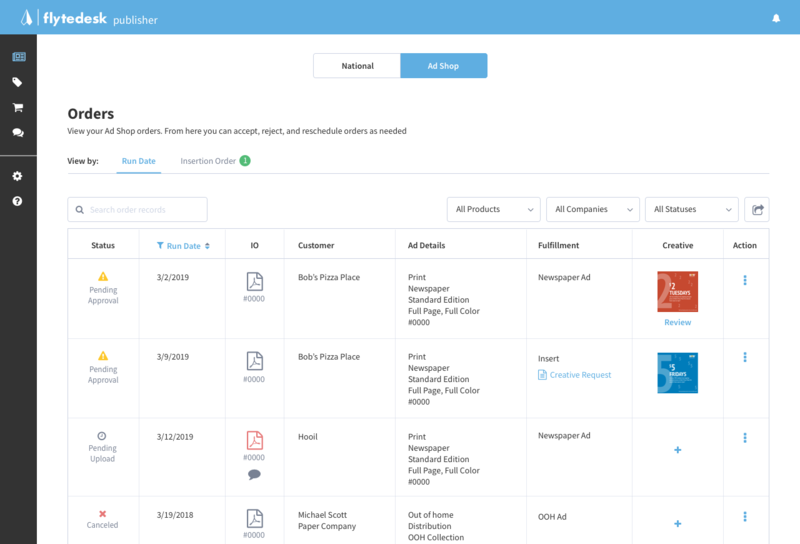 Instantly track and manage all advertising orders through your Ad Shop. Search by date, customer, product, sales rep or status of payment. 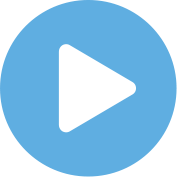 Generate invoices, Insertion orders, credit memos and more. 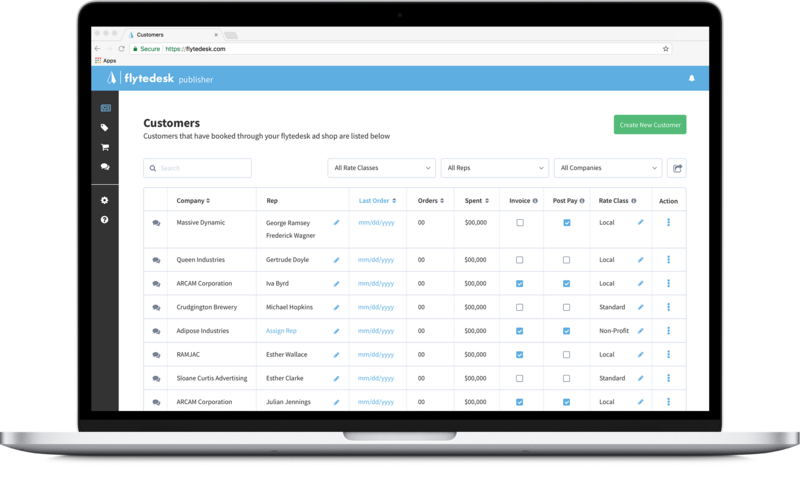 The Ad Shop is a browser-based sales solution that lets your clients create and book campaigns from any device. As clients create campaigns, they’ll see the total number of expected impressions across each ad channel. upsell clients. Easily upload artwork for client approval and verification, avoiding lost emails. Automated invoices & insertion orders, plus secure credit card processing. No more chasing money for completed work. Manage all clients' booking history, campaign performance and notes, creating continuity for new account managers. The Ad Shop empowers you to digitally verify every booked ad. Clients can see proof of placement from their account. Easily create multi-channel bundles to cross-sell clients. Provide discount codes for limited time use. request, for whatever reason, use the Ad Shop to easily schedule a make-good. As you create a campaign with a client, predictive ad performance will help get you to the point-of-sale. Based on client feedback, tweak the campaign and send the buyer a link to preview and check-out. 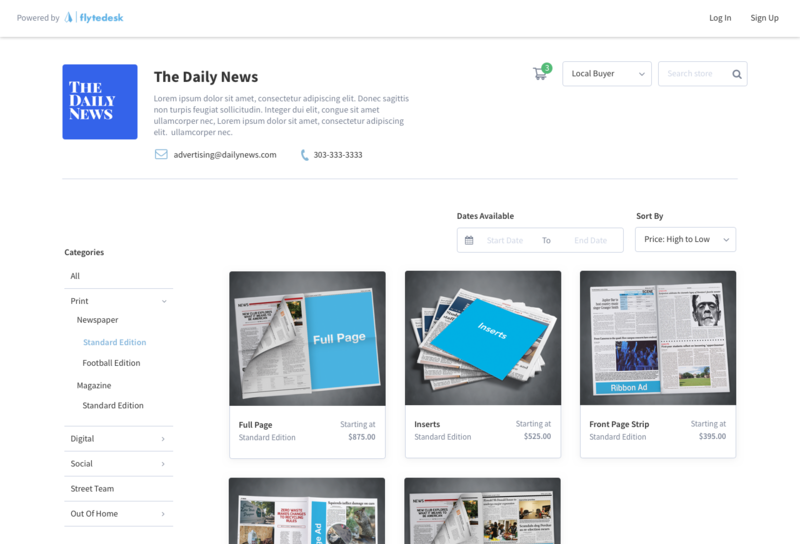 Link your Ad Shop from your website, email signatures and social media channels. Clients can book ads when it’s convenient for them, all year long. 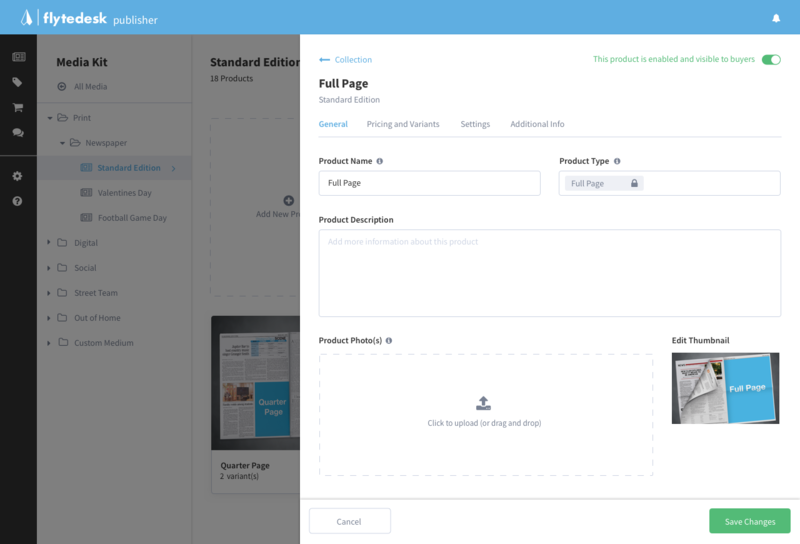 Monitoring your sales and available ad inventory is easy with the publisher dashboard. View orders, artwork, revenue and ad inventory. Create multiple user roles to give team access. Anyone who buys an ad is automatically given a buyer account. This gives dashboard access to their campaign overview, predictive ad performance and pricing. The buyer can view account history and easily re-order or create new campaigns.